Apartamentos Gran Amadores is an aparthotel complex located just 100m from the nearest beach and the closest town, Puerto Rico, is only 1km away. The property is within easy reach of markets, bars and restaurants, bus stops and taxi stands so it is easy to access the surrounding area. The Gran Canaria Airport is just 36km away. 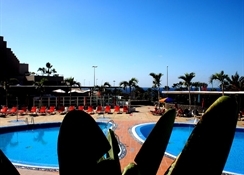 Apartamentos Gran Amadores offer well-furnished rooms with excellent views of the seaside, a fresh water swimming pool with a separate children's pool, a poolside bar and on-site minimarket area are all available for the guests. The beach is just 500m away and a wide range of bars and restaurants are all within a short walk of the property. Guests can make use of the sunloungers that are available at the beach for an additional fee and there are a range of massage treatments on offer too. The hotel promises a comfortable stay with warm hospitality to all its guests. Apartamentos Gran Amadores is located in a strategic part of Puerto Rico with easy access to the GC1 Motorway with a pretty beach that can be found just 500m from the resort. The town centre that is full of shops, bars and restaurants is 1km away and for any avid golfers out there who fancy a leisurely round in the sun then the nearest Anfi Tauro Golf Course is 1km from the hotel. 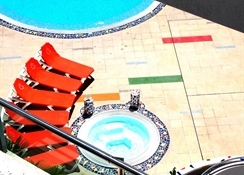 Apartamentos Gran Amadores has a number of well-furnished apartments featuring tiled floors and an updated design. Each apartment has a living room with a sofa bed, safe, fan and TV. The spacious apartments come with a private balcony offering gorgeous sea-views. There is a private bathroom with a hairdryer. The well-furnished kitchenette has a fridge, microwave and coffee maker to enable guests to cook their own meals and snacks. 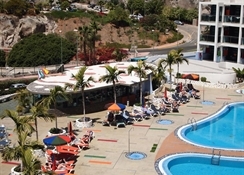 The apartments at Apartamentos Gran Amadores are self-catering with a well-furnished kitchenette with all the mod cons that allow guests to prepare their own food. 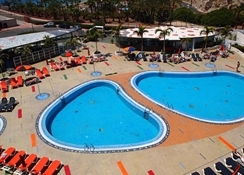 The hotel has a pool bar that offers refreshing drinks too and, there are several dining options nearby in the town of Puerto Rico which has a lively and vibrant feel. 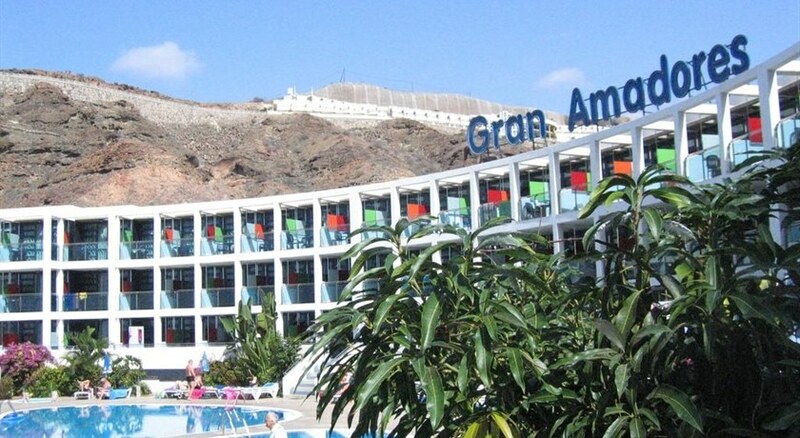 There are a plenty of recreational activities at the Apartamentos Gran Amadores . 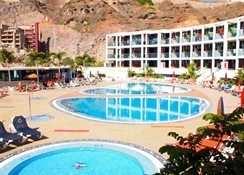 This includes a fresh water swimming pool with a separate children's pool, a sun terrace as well as a poolside bar. Guests may also stroll down the beach which is only 500m away to relax while massage services are available at extra charge. There is an onsite minimarket for shopping. For golfing enthusiasts the Anfi Tauro Golf Course is 1 km from the hotel and offers the chance to play a highly rated course in the sun.